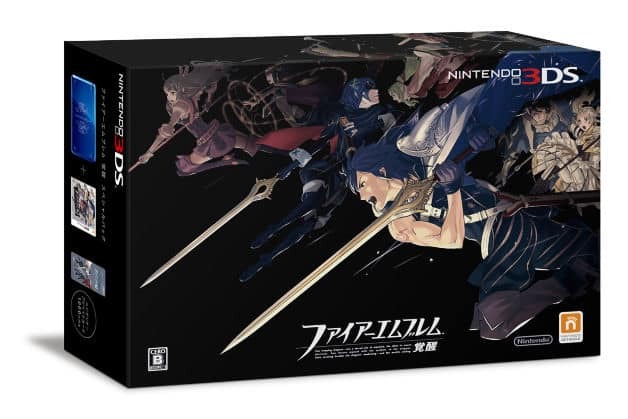 Alongside the announcement of a new ‘Cobalt Blue’ Nintendo 3DS, Nintendo have revealed plans to release a Fire Emblem: Awakening Limited Edition bundle in Japan. This joins a line-up of similar bundles including Kingdom Hearts 3D: Dream, Drop, Distance, The Legend of Zelda 25th Anniversary Limited Edition, Nintendogs + Cats and Monster Hunter Tri-G. The Fire Emblem: Awakening Limited Edition will release alongside the game in Japan on April 19th, and is to be sold exclusively through Nintendo’s online sales service. Within the bundle, you’ll receive a specially themed Cobalt Blue Nintendo 3DS, a copy of Fire Emblem: Awakening, and a ¥1,000 Fire Emblem point card as a free bonus.